There will be seasons of life where we will find ourselves alone. People may move on to a different job in a different city. Sometimes people leave under negative circumstances. We can feel abandoned and alone. Where is God when we feel alone? Paul was a leader within the early church. He traveled all over the known world planting new churches. He had the opportunity to speak in front of governors and kings, yet he came to a point in life where he found himself alone. Those closest to him had left. Let’s look to the Bible today where we’ll see how God responds to us when we feel alone. 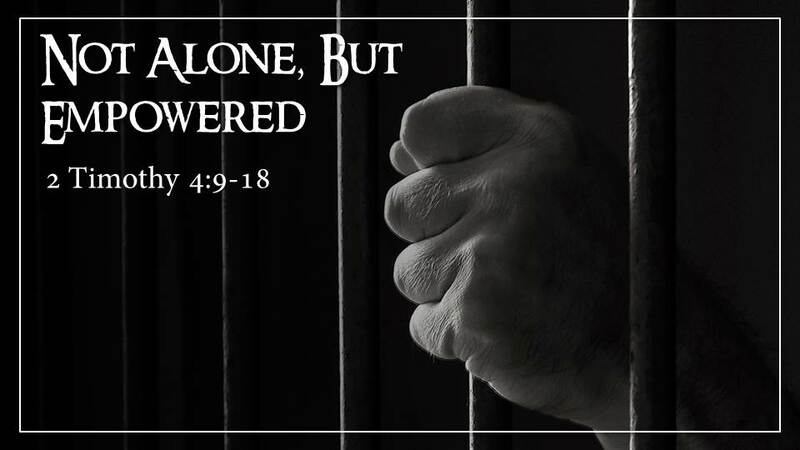 With God, we are not alone, but empowered!